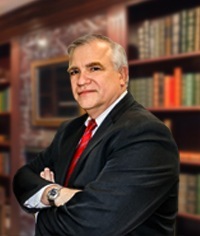 His thirty years of experience as a trial lawyer have produced many successes for his clients. In 1984, Mr. Day received his license as a Tennessee attorney. Since that time, his ability and experience have allowed him to obtain board certification as a civil trial specialist by the National Board of Trial Advocacy and Civil Pretrial Practice Advocacy by the National Board of Legal Specialty Certification. To obtain these certifications, Mr. Day had to demonstrate a successful track record of handling litigation, which included personal injury and accident claims, including car and accident litigation, slip and fall lawsuits business litigation, and insurance claims, as well as various other types of civil litigation. Because of Mr. Day’s experience in the area of legal malpractice, The American Board of Professional Liability Attorneys certified him as a Diplomate in legal malpractice. Mr. Day drew upon his experience in personal injury and accident claims, motor vehicle accidents, real estate litigation, wills and probate litigation, and business lawsuits to know the attorney standard of care required of lawyers representing clients. In order to obtain board certification in legal malpractice, Mr. Day also had to demonstrate his proficiency by handling numerous legal malpractice lawsuits. Currently, Mr. Day is one of two lawyers in the State of Tennessee board certified as a legal malpractice specialist. The National Board of Trial Advocacy and the American Board of Professional Liability Attorneys are recognized by the American Bar Association as the national board certification agencies in these specialties in the United States. When looking for a legal malpractice attorney to sue their current lawyer and hold that lawyer accountable for his negligence and/or misconduct, many people want to find a lawyer from “out of town” who is not “buddies” with the local lawyer, tied to the “local bar association” or have connections which would cause a problem in aggressively seeking justice for those victimized by lawyers. Mr. Day’s office has proven a beneficial location for those seeking such a legal malpractice attorney. Cookeville, Tennessee, at the foot of the Cumberland Plateau is where Mr. Day maintains his home office. This office is strategically position to allow him almost equal distance to courthouses in Knoxville, Nashville and Chattanooga. He has handled litigation in these places, and many, many more. In his litigation career, Mr. Day has handled civil cases from the Tri-Cities in East Tennessee to Jackson in West Tennessee, and from Byrdstown in Northern Tennessee to Chattanooga in Southern Tennessee. These include many cases in Nashville, Knoxville and Chattanooga. As a case merits his time and travel, Mr. Day has shown he is willing go to areas in diverse locations across Tennessee to assist those with serious injuries or significant litigation. Mr. Day was admitted to practice law in Tennessee in 1984, and is licensed to practice in every Tennessee state court, including the Tennessee Supreme Court and the Tennessee Courts of Appeal. Mr. Day is admitted to practice in the U.S. District Court for the Middle and Eastern Districts of Tennessee, as well as the United States Bankruptcy Courts of the Middle and Eastern Districts. He was admitted to practice before the U.S. Circuit Court of Appeals for the Sixth Circuit in 1990. In that same year, he was also admitted to practice before the United States Supreme Court. Mr. Day was selected as Mid-South Super Lawyer, 2006, 2008-2013 in the area of Personal Injury. The National Trial Lawyers Association has named Mr. Day as one of the Top 100 Civil Trial Lawyers in Tennessee. Litigation Counsel of America has recognized Mr. Day as a Fellow since 2008 to the present. Mr. Day has also been invited to lecture and teach as various seminars, including the following: The Harry Phillips Inns of Court, Nashville, Tennessee invited him to speak on legal malpractice. The Tennessee Bar Association had Mr. Day lecture at a Trial Practice Seminar on civil litigation. In the past, he has also been invited by the Tennessee Banker's Association to speak at their State Credit Conference on creditor issues in bankruptcy; by the Bank Administration Institute, Cumberland Plateau Chapter to speak on legal issues with checks; and by the American Institute of Banking, Upper Cumberland Chapter to provide an overview of Chapters 7, 11 & 13 Bankruptcies. Graduated with High Honors; Top 10%; Assistant Editor of the Tennessee Law Review; Frederick Bonham Scholar (1981); Harold C. Warner Scholar (1982); Carl W. Miller Scholar (1983); Who's Who Among American Law Students; ABA Law Student Division. “The NBTA is the first American Bar Association-accredited attorney board-certifying agency in the world…. [This] certification program that provides recognition for superior achievement in trial advocacy and uses a highly-structured examination to select its members” Quoted from NBTA website. The National Board of Legal Speciality Certification was the new name given to the NBTA, and then the NBTA became a subdivision of the NBLSC. The certification as a pretrial specialist confirms that as a civil trial specialist, the recipient also has certain expertise in pretrial matters. This involved a commercial dispute that eventually settled for $1.2 million. The matter, then gyrated through an interpleader action and bankruptcy proceedings related to distribution of this settlement. This case involved a claim against a bank for wrongfully trying execute upon the assets of Mr. Underwood. The jury awarded $105,000.00 in compensatory damages, and $420,000.00 in punitive damages, and the Trial Judge suggested a remittitur of $200,000.00 on the punitive damages award. The jury award, with the judge’s remittitur was upheld on appeal. MANY OF OUR BIGGEST SETTLEMENTS, PARTICULARLY IN LEGAL MALPRACTICE CASES CANNOT BE LISTED HERE BECAUSE DEFENDANTS AND THEIR INSURANCE COMPANIES REQUIRE OUR CLIENTS TO SIGN A CONFIDENTIALITY AGREEMENT, AND SOME EVEN REQUIRE THE COURT RECORDS TO BE SEALED. Tennessee Banker's Association, State Credit Conference (1993). Topic: Creditor Issues in Bankruptcy--Focus on Chapter 13. Bank Administration Institute, Cumberland Plateau Chapter (1990). Topic: Legal Issues with Checks.